Last year I had two piercings in each ear and I hated it. I felt like I either needed more piercings or less. I never felt like I could curate a cool look because there weren’t enough piercings to play around with. I ended up getting 4 more piercings, two in each ear. I now feel like I have the space to have my earrings look how I want them to. 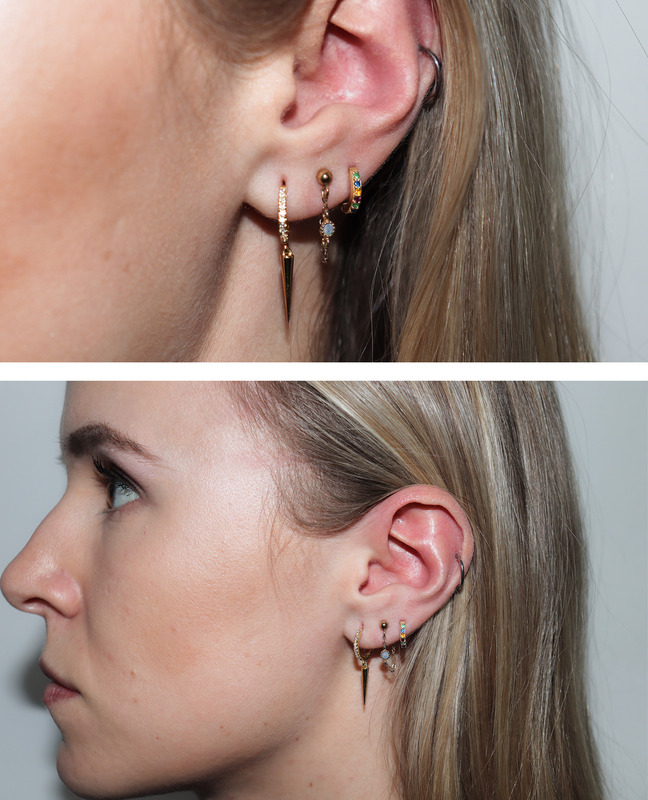 Since adding these piercings I’ve been slowly curating a collection of earrings: studs, hoops dangly ones etc. Chiara Ferragni is an Italian fashion designer and she always has the coolest earrings, you notice them without them taking away from her overall appearance. 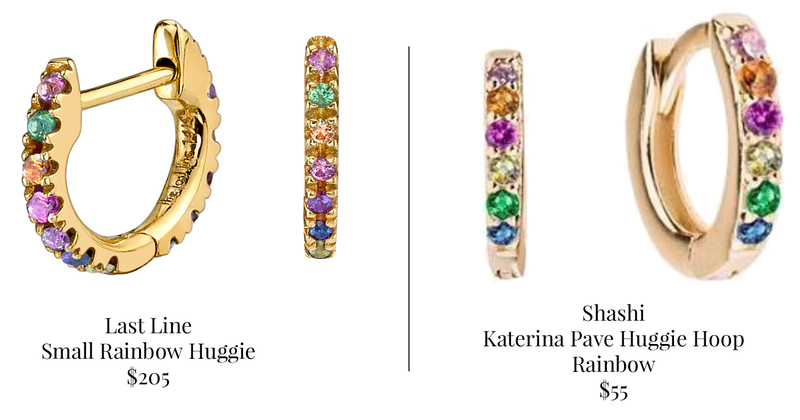 Recently I purchased some new earrings from ShopBop; they had earrings that were an amazing dupe for a pair I had been lusting over from The Last Line. TLL is a little out of my price range so when I stumbled upon a comparable pair I jumped on it. (cue Missy Elliot) Dupe is below! My earrings in comparison to some peoples are still quite tame but I feel like the overall feeling is eclectic, nice and trendy. I chose rainbow earrings because there are several colours that I could match with other earrings, they could even tie 2 mismatched earrings together. 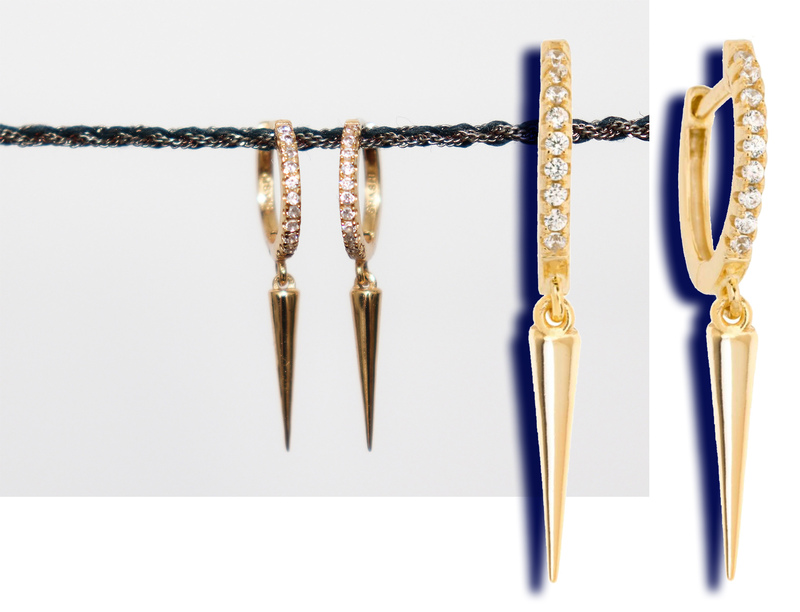 I feel as though the dagger hoops are quite simple, they really center around a little sparkle and a little length, they’re very wearable for every day. If you pull your hair back, they’re catchy but they bridge the gap of not wanting to wear “dangly” earrings, you know those ones that are used to draw the eye vertically in hopes of lengthening the face. I am absolutely, very much looking forward to curating new looks and pairings with my earrings. Sometimes the oddest and most unexpected combinations are the most striking. Have you purchased from Shashi or ShopBop? They’ve got a great selection of low-mid to high-end earrings. Check em out! 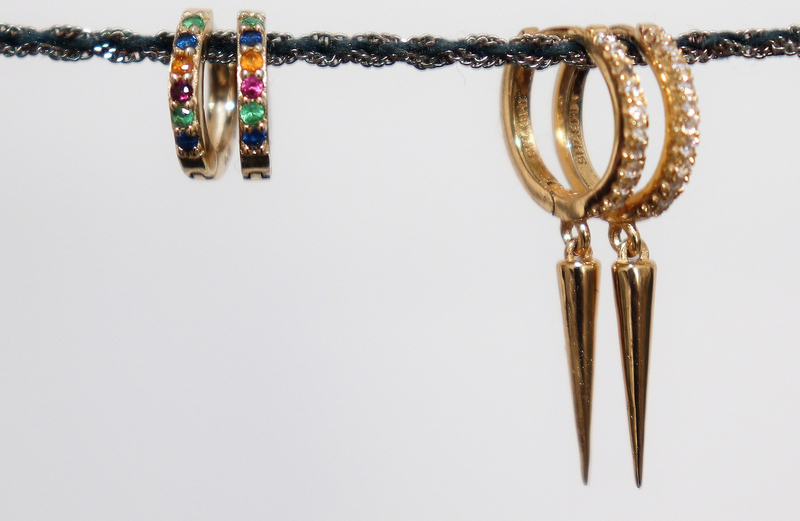 I’m definitely warming up to pairing hoops and studs together; if you’ve got any favourite combos or looks you’ve worn leave a link or send us a picture! I’m thinking about doing a post on tricks to curate a simple ear, I know what I like, but do you have any tips or tricks you’d like to share? Previous Post Mejuri: A Reasonable Jewelry Purchase?